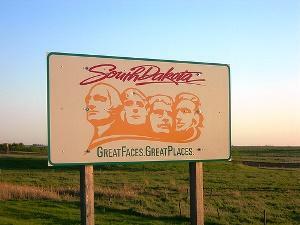 South Dakota…Great Faces, Great Places…unless you have a joint on you! The move comes as at least three other Indian tribes that have embarked on marijuana operations after the Justice Department seemingly gave them a green light last year have been raided by the DEA, a Justice Department agency. At this point, Indian tribes have reason to be nervous about what the federal stance really is. But the Flandreau pot operation also drew fast and intense opposition from the state’s Republican political establishment and law enforcement figures. And that opposition has brought renewed attention to one of the most bizarre state marijuana laws in the land, South Dakota’s “internal possession” law. The sheriff and prosecutor of Moody County, where the Flandreau reservation is located, reiterated Jackley’s point. 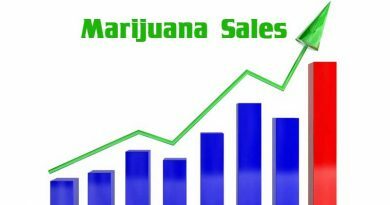 “If you are a non-tribal member that goes over onto that property and ingests marijuana in any form, you are breaking the laws in the state of South Dakota,” Moody County State’s Attorney Paul Lewis added. They’re not kidding. 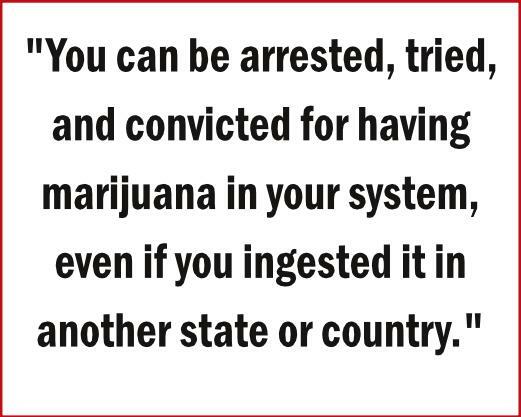 Under a state law passed in 2001 and upheld by the state Supreme Court in 2004, you can be arrested, tried, and convicted for having marijuana in your system, even if you ingested it in another state or country (or Indian reservation). Someone who legally smokes marijuana in Colorado and then drives across the prairie to South Dakota can be charged with the crime of having smoked marijuana elsewhere. 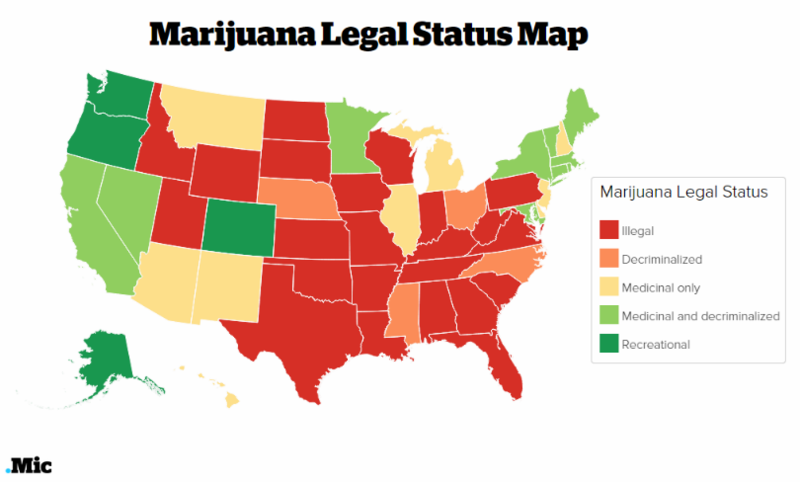 It’s the same for medical marijuana patients in states bordering South Dakota. Someone who holds a Minnesota or Montana medical marijuana card, uses his medicine, and then travels to South Dakota can be charged with the crime of having medicated where it is legal. 22-42-15. Ingesting substance, except alcoholic beverages, for the purpose of becoming intoxicated as misdemeanor–Venue for violation. Any person who intentionally ingests, inhales, or otherwise takes into the body any substance, except alcoholic beverages as defined in § 35-1-1, for purposes of becoming intoxicated, unless such substance is prescribed by a practitioner of the medical arts lawfully practicing within the scope of the practitioner’s practice, is guilty of a Class 1 misdemeanor. The venue for a violation of this section exists in either the jurisdiction in which the substance was ingested, inhaled, or otherwise taken into the body or the jurisdiction in which the substance was detected in the body of the accused. A Class 1 misdemeanor in South Dakota is punishable by up to a year in jail and/or a $2,000 fine. That’s the same penalty as for simple marijuana possession. Note that the law specifically allows for prosecuting people for internal possession either where they ingested the substance or where it was detected. It’s not that the cops in South Dakota are randomly accosting passersby and demanding they submit to drug tests — probable cause is needed — but what typically happens is that someone is arrested and police then intimidate him into consenting to a urine drug test during booking. The person is then hit with another criminal charge — internal possession — providing more leverage for prosecutors during plea negotiations. That’s still how it works. People being booked into jails are told they need to provide a urine test, and if they demur, they are threatened with a court order and the prospect of forced drug testing. 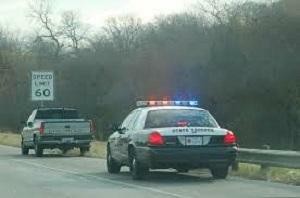 Of course, consenting to such drug tests makes it impossible for defense attorneys to challenge them in court, but agreeing to be tested means not only is the prospect of a forced drug test avoided, but also that the defendant will likely be booked and released instead of being held until he can appear before a judge for a warrant hearing. 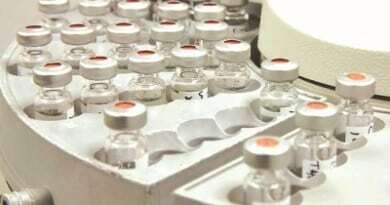 “I defend a lot of drug cases,” said Huron attorney Ron Volesky, “and I’ve defended several of these urine sample cases, but I haven’t yet seen an instance where we could challenge a court order because everyone has voluntarily consented. As a practical matter, when the police pick someone up they say, ‘Look, we can do it the hard way or the easy way; you can voluntarily consent because we have probable cause, or we can wake up the judge, have him sign an order, and take you down and have you catheterized.’ They basically threaten you,” said Volesky. While South Dakota residents are the most frequent victims of the state’s internal possession law, it could happen to anyone, especially visitors unaware of the law. And they don’t even have to get arrested for something to face a possible prosecution. Imagine you’re a medical marijuana patient visiting Rapid City for a shopping trip and your car gets T-boned by a drunk driver who runs a red light. Hospitals routinely test the blood of accident victims. Congratulations, you’ve just become a criminal. South Dakota, where you can get busted for something you did legally elsewhere. Probably not a slogan the state tourism board is going to select anytime soon. © 2015 StopTheDrugWar.org. Reprinted under Creative Commons License.